For more information, please feel free to contact projectdal@dal.ca. iGEM stands for international genetically engineered machine. It’s a competition where universities from around the world compete by designing organisms and biotechnology. Our team has three goals, to fix a local environmental issue, prepare undergraduates for research and to achieve recognition for Dalhousie on an international scale. This year we aim to use genetic engineering to address a local problem; toxic levels of aluminum in fresh water, which has recently been linked to risk of Alzheimers in humans and shown to affect salmon populations. Currently, the province has a few methods to test for and treat aluminium in fresh waters, however these methods are very costly. Our team is focused on designing a cost effective method to test aluminum in fresh water samples, so that the entire province can be screened for aluminum toxicity. A common river bacteria called Pseudomonas have been found to produce a complex molecule called Pyoverdin. This strange molecule seems to bind to aluminum ions in water and allows us to detect its presence. The challenge will be producing enough of the substance to be used in testing. We are in the process of designing bacteria that will produce large amounts of Pyoverdine so that it can be harvested and used as a component of the aluminum test kits we are designing. We have been working on this project over the summer and are now preparing to bring our work to Boston where we will compete with over two hundred teams for international recognition. It is an exciting time to be involved in the world of biology, as the innovative field of synthetic biology – an emerging branch of research combining biology and engineering – is rapidly generating new techniques and achievements. Currently, Dalhousie University does not yet offer any synthetic biology courses to students. Therefore, the Dalhousie iGEM (International Genetically Engineered Machines) was born, to engage young scientists in this up-and-coming subset of research as well as prepare students for graduate and professional studies, for which they will be fully versed in synthetic biology approaches. The Dalhousie 2018 iGEM team is a student-led team working toward advancements in synthetic biology through the iGEM annual student competition, where teams across the world develop synthetic biology-driven projects. We’re currently creating a bacteria-based aluminum biosensor to test for toxic levels of aluminum in water, which results from acid rain. We aim to improve the Nova Scotian environment, by generating a means to better reduce aluminum in our local waterways. In turn, this would benefit the health of aquatic species as well as the local fishery and aquaculture sector. Human health would additionally benefit from our project, as aluminum consumption is linked to increased rates of Alzheimer’s, dementia and autism within the population. 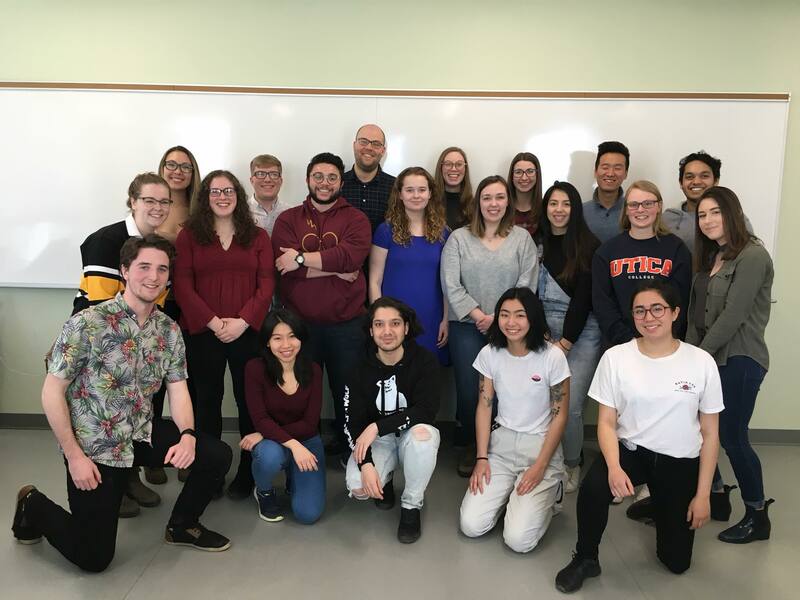 We plan to present our findings at the annual iGEM conference in November, representing Dalhousie University as the ONLY Atlantic Canadian Team competing. The event is four days long and will provide us with the opportunity to present our work to researchers, judges, fellow students, and industry leaders from around the world. Our goal for the 2018 year is to send 9 team members to represent Dalhousie University at the iGEM Giant Jamboree held in Boston, Massachusetts from October 24th – 28th 2018. iGEM teams from over 45 countries come to the jamboree to showcase their projects, learn about advancements in synthetic biology, biosafety and biosecurity and develop leadership and networking skills. Our goal of $10,000 will be used for conference registration, transportation and accommodation for our team members. By attending the Giant Jamboree, we will have the opportunity to meet and consult with industry experts and the greater iGEM community. This will allow us to network with communities that can help us continue to develop our project, as well as help spring our idea from the lab into action. By helping us attend the conference, you will not only be sending a group of students on an opportunity of a life time, but you will aid in the creation of a device that could make testing for contaminated water more accessible in Nova Scotia. Are you sure you want to vote for this project?